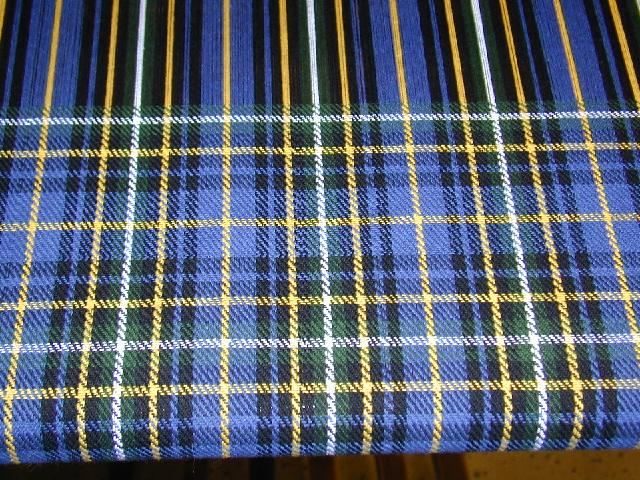 Thorvaaldr and I designed the sett for this plaid, and I wove 6 and a half yards of it, enough for a kilt for him and a shawl for me. It's cotton 2/2 twill (I wanted wool, but couldn't afford it). 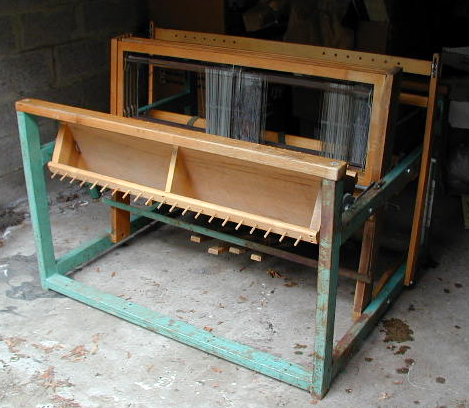 I bought a loom from a friend of mine. 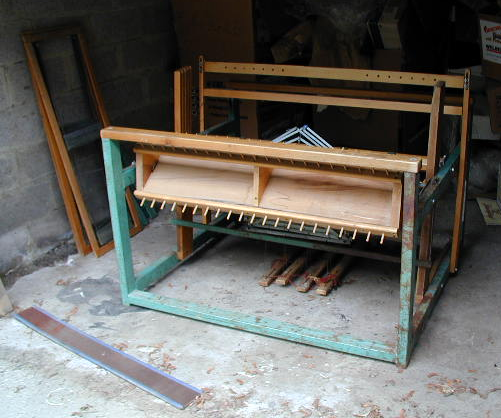 It's a 40-inch 4-harness jack loom, and appears to be custom-built, probably for a weaving school. It is of very solid construction (steel frame), and shows signs of long use. It needs to be cleaned up, needs some minor repairs, and the reed and heddles need to be replaced, but I'm very happy with it. 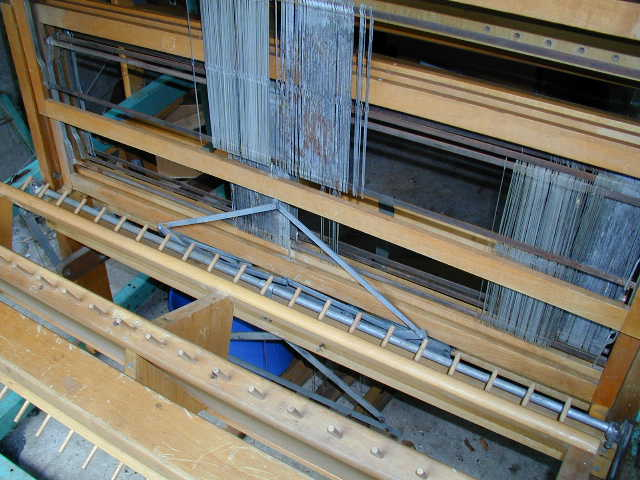 This loom has some odd features. 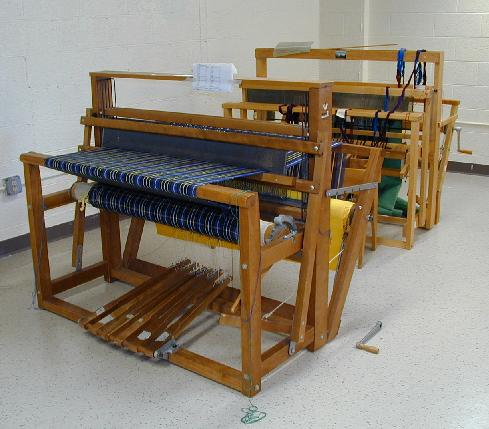 A friend has a very similar loom, and she tells me that it is a rehab loom, designed to be easy and safe to use for people with limited physical skills. After some cleaning and minor repairs, I'm halfway through my first major project. It's a present, so I won't describe it here now, but I'm having fun, and I'm quite enamoured of weaving with linen.